Augusta has thought of everything your child will need to be very comfortable on practice and game day. Designed for baseball & softball players, the waist is secured by being elastic with a drawcord located inside. Then there is the added touch consisting of belt loops. Some consider the loops to be one more opportunity to keep your pants up, while others see the belt loops as a chance to make a fashion statement, by adding a contrasting color belt. Beyond the obvious, longevity and budget considerations led to the inclusion of double-reinforced knees. The fabric is poly double-knit, while the cuffs are elastic. 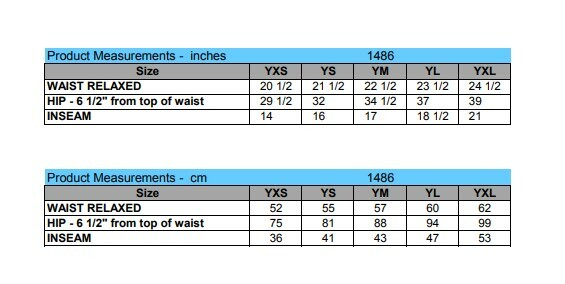 Inseam varies according to pant size. Sizes range from extra-small to extra-large. Bulk Pricing.